Hank and Debbie Hemmes, of Howard City, took the Post with them on a cruise to Alaska in August. 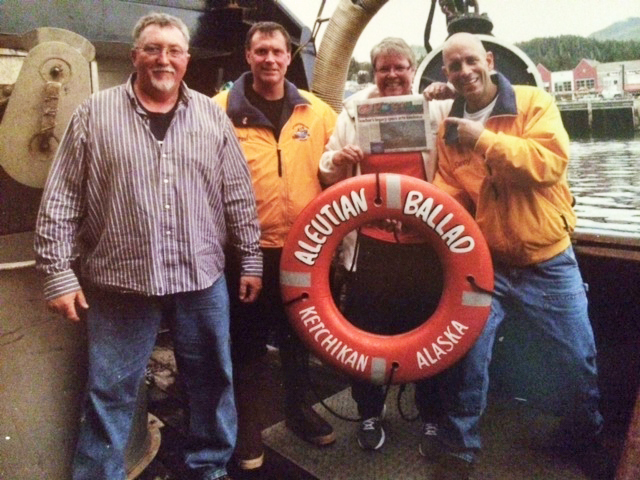 “Our cruise ship stopped in Ketchikan, Alaska where we took the Bering Sea Crab Fishman Tour. We learned how they go about catching King Crab. The ship that we were on, the Aleutian Ballad, was on the second season of the Deadliest Catch before it was retired. It was very interesting to listen to their stories and the risk they all took,” they said. They noted that they also saw a lot of bald eagles on their trip. Thank you, Hank and Debbie, for taking us with you!